Detecting foreign objects reliably: first identifying and then packaging. There is always a danger of contamination due to pieces of metal, glass splinters, pieces of plastic or stones when raw materials are processed into a liquid or paste-like product mass. The HEUFT eXaminer XT identifies such foreign objects in unpackaged products such as sauces, jams, fruit preparations, cheese spreads or sausage meat. 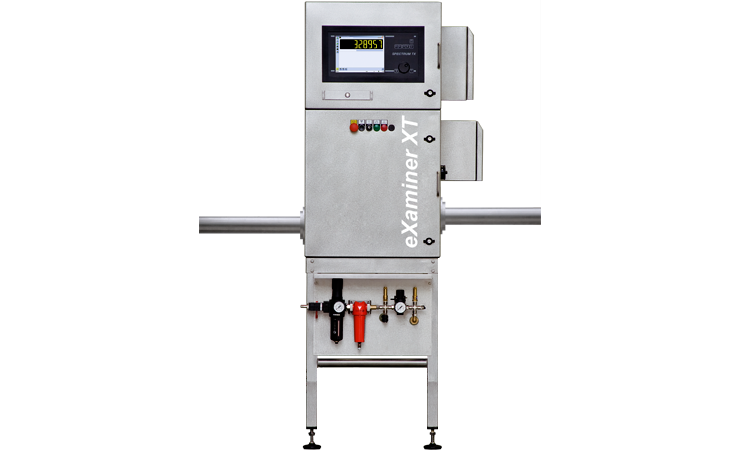 The particularly low-radiation, pulsed X-ray technology of the pipeline inspector is impressive even at high throughput rates due to maximum detection reliability. A precise look into the pipe: pulsed X-ray technology. Pieces of metal, glass splinters or stones: the system already identifies foreign objects such as these before the packaging process highly precisely. The product mass is transported through a specially constructed, hermetically sealed pipeline which is illuminated by means of an X-ray strobe. The extremely short exposure time reduces the radiation exposure as well as motion blurs to an absolute minimum in the course of this: high-resolution pictures are produced even at high / fluctuating transport speeds which each display a complete section of the production flow. These are digitised and specifically evaluated by the HEUFT reflexx high-performance image processing system. 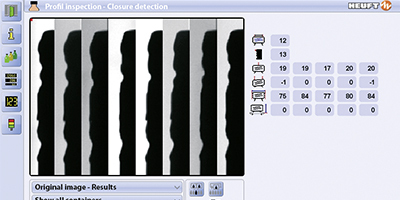 In contrast to conventional metal detectors the product's own signal does not have a negative effect on the detection performance of the HEUFT eXaminer XT. It not only finds metal contamination reliably but also solid foreign objects made of other materials. Preventing recalls: the reliable rejection of the contaminated product mass. The HEUFT eXaminer XT emits a corresponding signal if it has detected a risk to product safety. Therefore the partial quantity in question can be reliably removed from the production flow. The pipeline inspector is equipped with a test program for validating the performance. It checks the detection performance at freely configurable intervals. This ensures that it always finds what it should. Improving the inspection result: dual beam for a 3D reconfirmation. 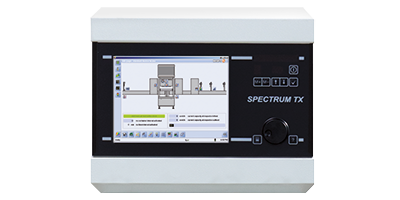 The HEUFT SPECTRUM TX systems with their modular design can be extended at any time. For example the HEUFT eXaminer XT can therefore be expanded by means of an additional X-ray strobe. This dual beam technology makes the analysis of two overlapping individual pictures possible and with that a 3D reconfirmation of the result of the examination from different angles of vision. 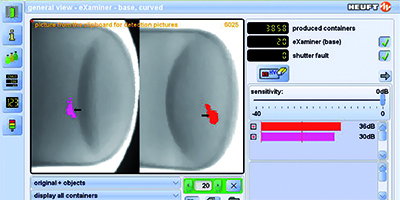 The second X-ray image therefore improves the inspection result. This increases the detection reliability and reduces the amount of false rejections.